As with most New Yorkers, there are a million sights, attractions and cultural institutions that I rarely if ever take advantage of. It’s not that I don’t want to, but life gets in the way most of the time and tourists get in the way the rest. 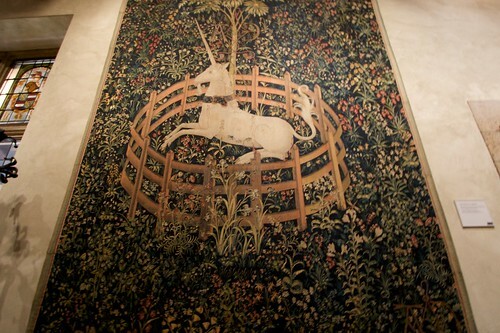 The Cloisters has been high on my list of places I wanted to visit for the better part of a decade. I visited it once, in sixth grade, 20 years ago(!). This weekend, we’re watching our niece and I thought it would be a good thing to take her to. My mom came along, too, with her neighbor’s 10 year old in tow. 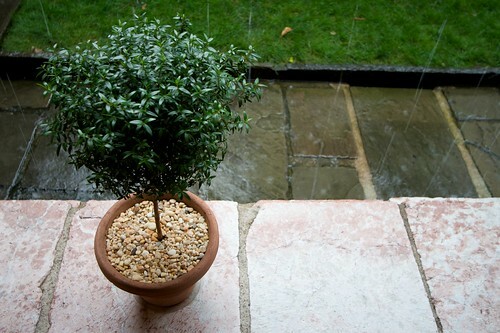 I could have chosen a better day, given that this weekend Hurricane Bill brushed up against the Northeast, dumping even more water on us via some -freaky- storms. Even so, I really enjoyed walking through the space. It’s really an amazing thing, when you think about it. 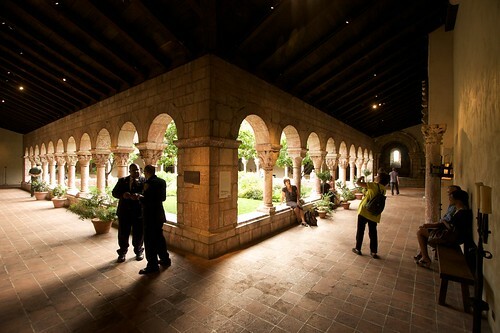 Rockefeller bought and moved brick by brick cloisters from five different churches around Europe here to New York. From a contemporary perspective, an exercise of wealth that massive is at once repellent and awe-inspiring. This summer has been ridiculously busy, and the fall is already starting to get booked up, but I hope that to be able to return before too long.